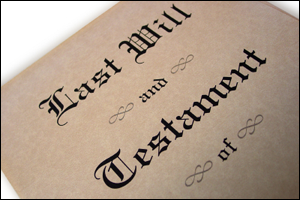 Most people realize the need for a Will, but many do not understand why. A properly prepared Will makes things easier for your loved ones, assures that your property goes according to your wishes, and, often, saves taxes and expenses. We can provide assistance in preparation of your Will and estate plan so that your wishes are fulfilled, the difficulty on your family members and survivors is minimized and the maximum amount is passed to your heirs rather than paid in taxes. Following the death of a family member or a loved one, a formal probate or administration of the estate is often required. Julia North has served as a member of the Probate Rules Committee for the Nineteenth Judicial District, and maintains an active probate practice. She can help assure that a loved one’s wishes are fulfilled and costs and complications to surviors and family members are minimized. Occasionally questions are raised as to whether a Will was properly prepared and whether it truly represents the wishes of the loved one. In those cases, the attorneys at Rassas, North & Associates can assist you in reviewing the Will and the estate, to determine the validity of the Will, and if necessary, challenge a Will that is not proper due to irregularities, including undue influence or lack of mental capacity.